Making roasted squash seeds is a great way to switch up your snacking playlist. Currently, you can buy packaged roasted pumpkin seeds at almost any store that sells snacks. Most snack manufacturers primarily ignore all the other varieties of squash seeds, but some specialty sites do sell them for snacking purposes. 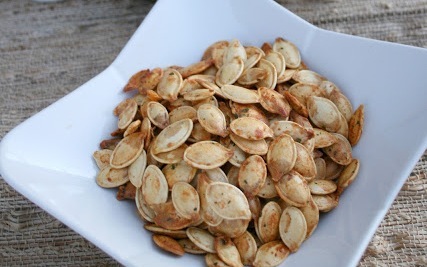 You can roast almost any squash seed, not just pumpkin seeds, into a tiny, yet tasty, nutritional snack. Experimenting with different types of squash seeds opens a new world of snacking. If you are eating the squash anyway, why not use the whole vegetable? Roasting and seasoning your fresh, unused seeds will most likely taste better than packaged seeds that could be months old. Another benefit of roasting your own seeds is that you can season them to suit anyone's tastes. There are two main varieties of squash: Summer squash and winter squash. When we mention Summer squash, we primarily mean the yellow squash grown in summer gardens. Some resemble an impressionist's version of a bowling pin: those are crook-necked yellow squash. 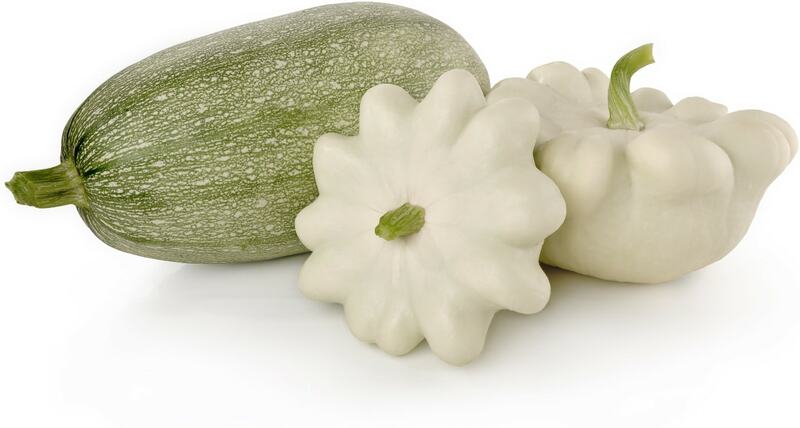 We are also referring to different varieties of zucchini and pattypan squash. If you have never seen a pattypan squash, you will never forget it once you do. It has an unusual shape: think of an octopus without tentacles. However, the seeds of these types of squash aren't the best for roasting. They are small and are difficult to extract from the flesh - they are very reminiscent of the seeds found in cucumbers. Sometimes, the effort put forth is not worth the result. Varieties of Winter squash are the real cornucopias of the roasted squash seed world. 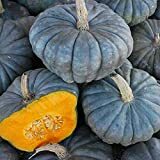 Winter varieties include butternut squash, pumpkins, acorn squash, delicata (also called sweet potato squash), and other squashes in the gourd family. They are usually globular in shape like our traditional pumpkins. 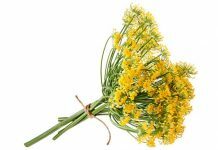 Some may be longer or have "necks," but they are generally larger than Summer varieties. 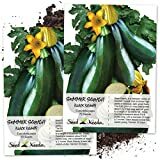 Unlike summer squash, these seeds are readily available after cutting open the vegetable. The seeds of winter varieties are generally larger and much better for eating than summer varieties. Separating the "guts" from the seeds is the hardest part of making them, but the process is not complicated. The easiest way to do this is just by using some water and your fingers to separate. There are no fancy kitchen gadgets out there to help in extracting squash seeds - we looked. Someone should get on that in a hurry. 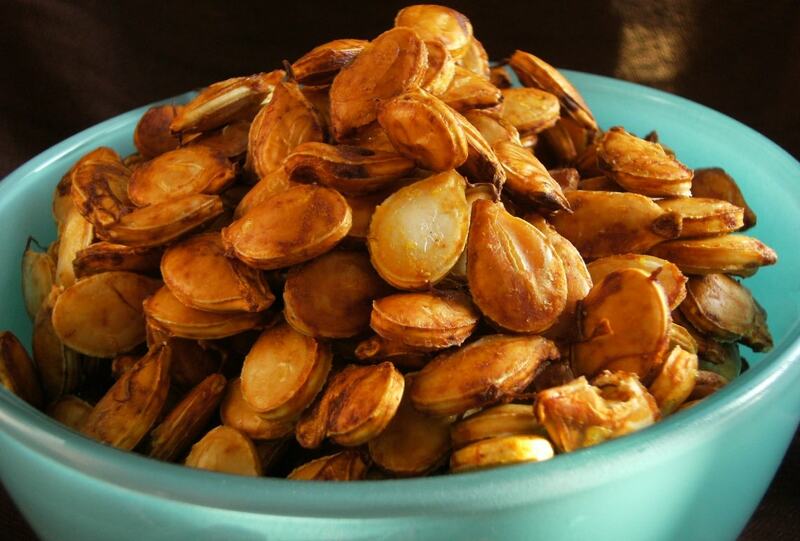 Roasted squash seeds are healthier than many traditional bagged snacks. Packed with plant protein and other nutrients, roasted squash seeds are tiny, yet powerful. A single serving, about one cup, contains very significant amounts of magnesium and zinc: almost half of the daily value of each. One serving of squash seeds provides 24 percent of the daily value of protein. That makes them an excellent snack for those who are trying to maintain a healthy lifestyle. Taste-wise, the seeds are similar to many roasted nuts. However, most people do not have seed allergies which make them safer for many. They are an incredible snacking alternative to nutrition-less snacks like carb-filled potato chips and cheese puffs. Healthier than croutons, they are easily added to foods like salads to provide the crunch carbs usually provide. At zero carbohydrates, the seeds are friendly to the popular Keto diet. Added to yogurt, fruit, or soups, they add texture that some of these foods lack alone. One of the biggest health benefits of eating whole roasted squash seeds is its high fiber content. Doctors have associated high-fiber diets with a reduced risk of diabetes and obesity. Fiber is also beneficial for maintaining gut health, cholesterol levels, and blood sugar levels in the body. 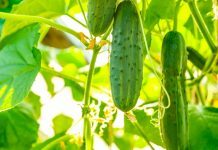 For these reasons, the seeds are thought to help people Type two diabetes, but there have not been enough studies to say this is completely true. Squash seeds are high in antioxidants, as well. Antioxidants are thought to protect cells from free radicals. Free radicals are molecules happen when breaking down food or exposure to toxins like tobacco smoke. Free radicals are known to play a role in heart disease and cancer. In a way, you could consider roasted squash seeds a preventative aid in diets. For those of you who need help in getting to sleep at night, roasted squash seeds might be your answer; Squash seeds are high in tryptophan, the same amino acid found in turkey that is known to make you sleepy. However, you need to eat seven ounces, or almost an entire cup, of roasted seeds to get the recommended amount of tryptophan for the desired benefits. 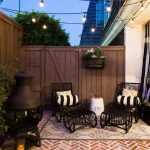 That's a lot of seeds, so they may not be your only answer to insomnia. These seeds are also high in vitamin E. Vitamin E is known to be very beneficial for the skin and hair, and contains anti-aging properties. 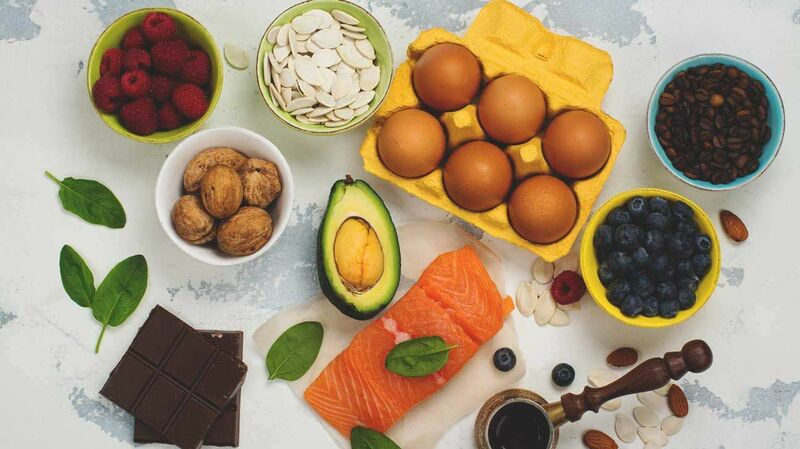 Recent studies have also linked Vitamin E to the health of the heart, brain, and liver. This is one more reason roasted squash seeds are a tiny superfood. There are many reasons to begin eating these little crunchy snacks. 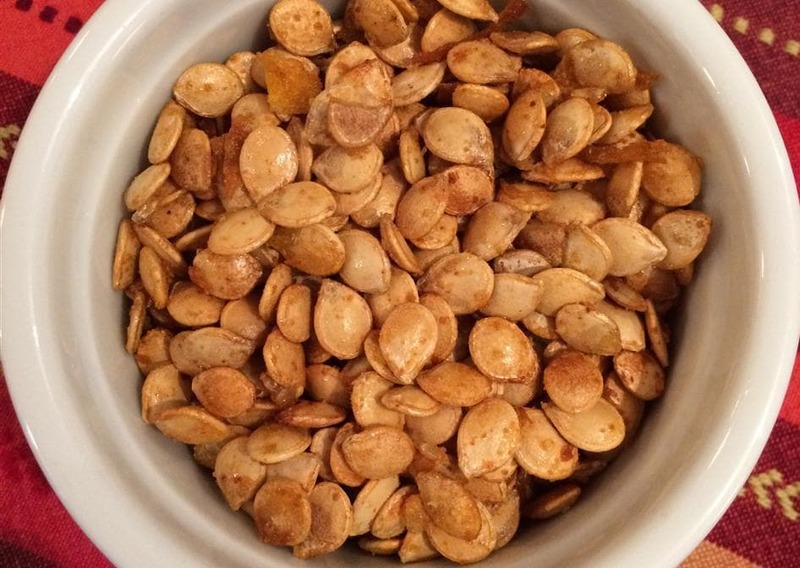 Roasted pumpkin seeds are one of the easiest nutritious snacks you can make from home. You don't have to be great in the kitchen to be great at making a nutritious snack. The hardest step is cutting open the squash, so make sure your knives are sharp. Once open, the seeds are easy to access. The seeds are intertwined in a wet, fleshy material, so use your fingers to separate and clean them. If you think about the guts of a pumpkin when making your annual jack-o-lantern, you will soon get the idea of what you are dealing with. More than likely, you will still have some bits and pieces of flesh clinging to the seeds after separation. This is completely normal. It will not ruin your end result. Make sure you dry the seeds before seasoning them. That ensures that your seeds have enough oil on them so they can roast evenly. Before roasting the seeds, you must coat them with oil. 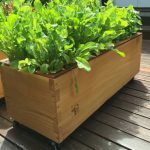 To evenly coat them, place them in a plastic storage bag with the recommended amount of oil per the seeds you're using. Once inside the bag, you can shake the seeds for that even coverage that makes each seed delicious and uniform in taste and texture. Feel free to add the seasonings to the oil for the best overall coverage. By far, the best seeds to roast are pumpkin seeds. They are the largest of the seeds which give people the most bang for their buck, so to speak. This is one reason they are the only squash seeds that are commercially packaged almost everywhere around the world. However, as mentioned previously, you can roast more than just pumpkin seeds. You definitely want to stick to the Winter squash varieties. After pumpkin seeds, the best squash seeds to use would be acorn squash or butternut squash. The seeds are generally larger than other squash varieties. 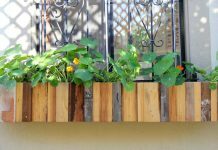 Feel free to experiment: the ease of access is the same for most Winter squash. Once you have roasted some seeds, you can roast them all. The following are some recipes to help you start roasting squash seeds. Preheat oven to 300 degrees Fahrenheit. Next, line a baking sheet with parchment paper or aluminum foil for easier cleanup. After you've done that, put all the ingredients listed above in a plastic storage bag and shake to evenly coat the seeds. Spread them on out on the parchment paper lined baking sheet. Bake the seeds for about 15 minutes or until the seeds begin to pop. Remove them from the oven and allow them to cool before serving. Store any remaining seeds in an airtight container for freshness. The cleaned and dried seeds for four butternut squash. Follow the directions from the basic roasted squash seed recipe. Your seeds will be spicy and great for snacking. Follow the directions from the basic roasted squash seed recipe. These seeds will have a great ranch flavor that is great for snacking or adding to your favorite salad. There is no reason not to eat these delicious little snacks. They are easy to make, good for you, and they taste great. You can save whatever squash you have on hand or you can really take advantage of Halloween. When you make that jack-o-lantern this Halloween, keep those seeds. Everyone in the house will thank you. Not only will you satisfy any snack cravings, but you are improving their health, as well. I mean, you really can't argue with that sort of logic. If you eat those instead of all that discounted Halloween candy you know you have stashed all over the house, you will also be doing yourself and your wardrobe a favor - not to mention the scales.